Although there is no definitive evidence that cellphone communications affect human health, Health Canada now advises children under 18 to limit their use — and Canada isn't the only country to do so. 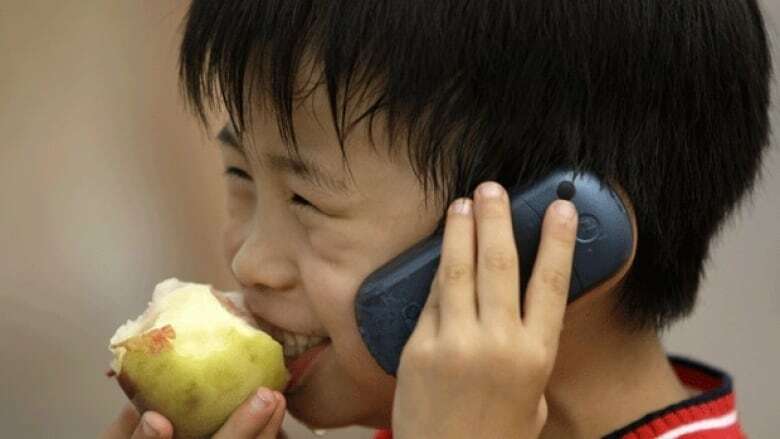 A boy speaks on a mobile phone in Bejing's Tiananmen Square. Some countries have started advising their citizens to limit children's exposure to cellphone radiation. Although the scientific community remains at odds over the issue of whether cellphone use is linked to health issues, Health Canada is now advising parents to encourage children under 18 to limit the time they spending talking on mobile phones. Limit the length of cellphone calls. Replace cellphone calls with text messages or use "hands-free" devices. Encourage children under the age of 18 to limit their cellphone usage. Previous guidance from Health Canada had suggested that people could limit their use of cellphones if they were concerned about an unproven suggestion the devices increase one's risk of developing brain cancer, but the new advice is more definitive. "Really it's more proactive in encouraging cellphone users to find ways to limit their exposure, and … to empower parents to make healthy choices to reduce their children's exposure," explained James McNamee, division chief for health effects and assessments in Health Canada's bureau of consumer and clinical radiation protection. Health Canada's advisory follows a statement issued in late May this year by the World Health Organization's International Agency for Research on Cancer (IARC) that classified cellphones as a category 2B risk, meaning the agency acknowledged mobile phones are possibly carcinogenic to people. McNamee sat on the panel involved with the advisory. But to put the statement into perspective, things like coffee and surgical implants are also listed as a category 2B risk. And not all researchers agree with the 2B classification for radiofrequency energy. The U.S. National Cancer Institute’s Cell Phones and Cancer Risk fact sheet, reviewed in August, says, "Although there have been some concerns that radiofrequency energy from cell phones held closely to the head may affect the brain and other tissues, to date there is no evidence from studies of cells, animals, or humans that radiofrequency energy can cause cancer. It is generally accepted that damage to DNA is necessary for cancer to develop. However, radiofrequency energy, unlike ionizing radiation, does not cause DNA damage in cells, and it has not been found to cause cancer in animals or to enhance the cancer-causing effects of known chemical carcinogens in animals." There are many reports about cellphones and health, and one of the larger ones is IARC's own 10-year Interphone study of brain tumours that looked at 2,708 glioma and 2,409 meningioma cases in people aged 30 to 59 in 13 countries, including Canada. It was aimed at defining whether or not cellphones and cancer were linked, but it wasn’t conclusive. The Interphone study reported in 2010 that, "Overall, no increase in risk of glioma or meningioma was observed with use of mobile phones. There were suggestions of an increased risk of glioma at the highest exposure levels, but biases and error prevent a causal interpretation. The possible effects of long-term heavy use of mobile phones require further investigation." The research into RF energy and health is just as divided when it comes to young people, partly because it can take years for cancers to develop. A U.K. study by the Independent Expert Group on Mobile Phones (IEGMP) sparked concern when it was released in 2000, pointing out that, "If there are currently unrecognized adverse health effects from the use of mobile phones, children may be more vulnerable because of their developing nervous system, the greater absorption of energy in the tissues of the head, and a longer lifetime of exposure. In line with our precautionary approach, we believe that the widespread use of mobile phones by children for non-essential calls should be discouraged. We also recommend that the mobile phone industry should refrain from promoting the use of mobile phones by children." The more recent CEFALO report in June tried to put the issue to rest by looking at about 1,000 children in Denmark, Sweden, Norway, and Switzerland ages 7 to 19 years who were diagnosed with a brain tumor between 2004 and 2008. It said that, "The absence of an exposure–response relationship either in terms of the amount of mobile phone use or by localization of the brain tumor argues against a causal association." But critics argue that there were issues with how the data was interpreted, and that the results should be revisited. Researchers are still striving for a definitive study. 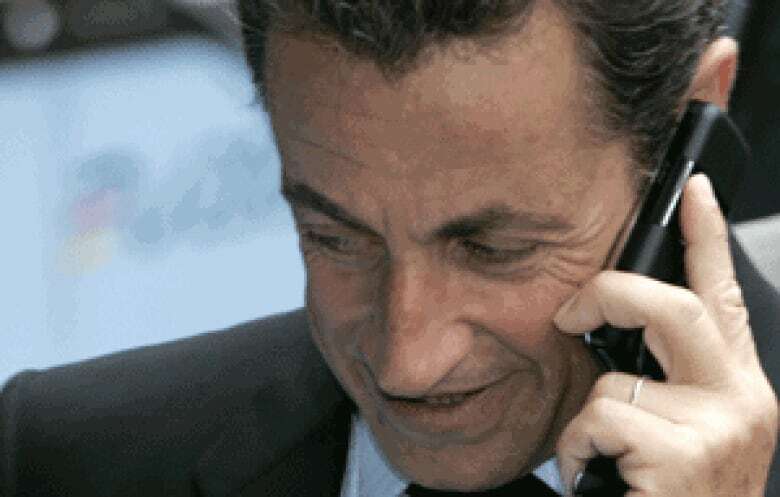 The IARC’s Interphone report didn’t look at young people, because it says there weren’t enough of them using cellphones regularly when it began. But the use of mobile phones for calls, texting and internet access has skyrocketed among youth in recent years, so in March 2009, the five-year MOBI-KIDS project involving research groups in 13 countries (again including Canada) was launched to study about 4,000 people between the ages of 10 and 24. Since the bulk of research into cellphones and their base towers done to date has found no definitive evidence that short-term use poses significant health risks to humans, policy makers have generally given the telecom industry a green light, allowing the use of wireless devices to explode around the world. The WHO estimates that five billion people owned cellphones in 2010. In July 2010, the national assembly passed a law that bans the advertising of cellphones to children under the age of 14; bans their use during teaching in nursery, elementary and middle schools; and requires all cellphones to be sold with an ear piece or other hands-free device that limits the head's exposure to radio frequencies. The government also set up a website dedicated to the issue of radio frequencies and their effects on health and the environment. Russia's so-called sanitary and epidemiologic rules and regulations recommend that children under 18 limit their cellphone use. In May, the Russian National Committee on Non-ionizing Radiation Protection, a scientific body that has conducted research into the health effects of cellphone radiation for the Russian health ministry and the WHO, issued a series of recommendations. It suggested that children under 18 be more strongly and publicly advised against using cellphones. It also proposed that the devices themselves be labelled with information stating they are a source of radiofrequency electromagnetic fields and that the user's manual states that the phone is a sources of "harmful RF EMF exposure" and that cellphone use by children under 18 and pregnant women is not recommended. In March 2011, the department of health updated a leaflet it published in 2005 on mobile phones and health and recommended that children under 16 limit use of cellphones to essential calls and keep calls short. It said the effectiveness of hands-free kits to reduce absorption of radio wave energy is uncertain but that those who are concerned could "take steps to reduce … exposure such as using hands-free kits or texting." It reinforced previous findings that "there is no immediate need for concern when using mobile phones or having a base station in your area" and "no convincing evidence that either will cause harm" but stressed that further research is needed. There is no evidence linking short-term mobile phone use with cancers of the brain and nervous system. There is no evidence that mobiles affect brain function or cause unpleasant symptoms. It is too early to say whether mobiles are safe in the long term, and further research is needed. Several jurisdictions have tried to pass laws requiring mobile device packaging to contain labels warning of potential health risks, but most have failed – although many are still studying the issue. The strongest legislation passed to date has been in San Francisco, where the city passed a "right to know" ordinance that would require cellphone retailers to display posters and provide factsheets informing customers of potential health risks and outlining how to reduce those risks. The law is to go into effect Oct. 25, but the industry group CTIA, which represents large wireless carriers like Verizon and AT&T, has filed a lawsuit to block the ordinance from taking effect. A hearing is set for Oct. 20. New Mexico passed a law in March asking the government to study the health effects of cellphone radiation and recommend how to alleviate potential risks. Pennsylvania's house committee on consumer affairs is holding hearings on proposed legislation that would require labels on cellphones that say the device "may cause brain cancer" and advise children and pregnant women to keep them away from the head and body. EU guidelines on electromagnetic fields are based on the recommendations of the International Commission on Non-Ionizing Radiation Protection (ICNIRP), which recommends exposure to non-ionizing electromagnetic fields be limited to frequencies between 0 and 300 GHz. The limits "include a 50 times safety factor for the general public" and are reviewed regularly. When the EU adopted the limits, it included a provision calling on member states to research possible carcinogenic hazards of EMF and keep the public informed of any risks and measures taken to address them. Some EU countries, including Belgium, Greece, apply stricter limits than the general guidelines. In 2009, the European Parliament asked the European Commission to review the scientific basis and adequacy of the EMF limits. The commission found the limits to be scientifically sound and adequate but did agree to work with member states and the industry to consider the creation of "a guide to available technology options serving to reduce exposure to EMFs." In May, the Parliamentary Assembly of the Council of Europe (PACE), which is not a legislative body but an international organization set up by European countries to "promote democracy and protect human rights and the rule of law," called on European governments to "take all reasonable measures" to reduce young people's exposure to electromagnetic fields. It recommended governments strictly regulate cellphone use on school premises and "give preference to wired internet connections" in classrooms and for children in general. It urged EU governments to "reconsider the scientific basis for the present electromagnetic fields exposure standards" and adopt the precautionary principal when it comes to evaluating the health risks. Marketplace: Are cellphones really safe for your kids? P.O.V. : Will you change your cellphone habits based on Health Canada's advice?